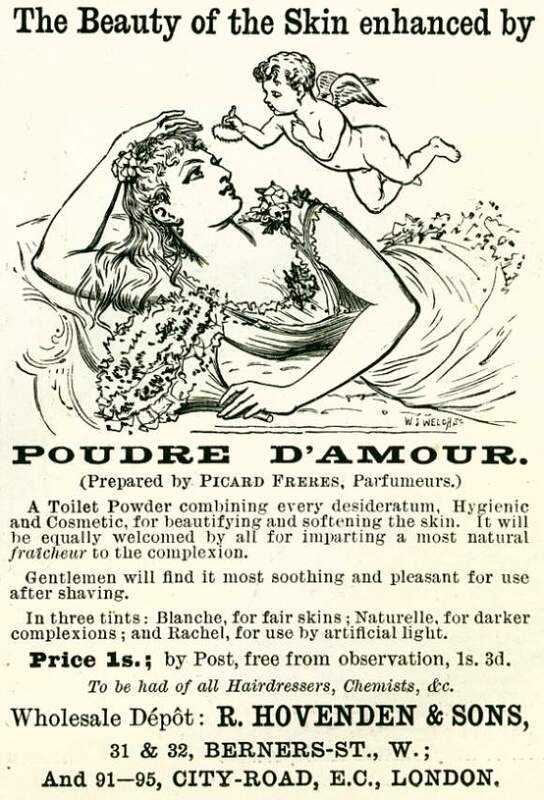 The beauty of the skin enhanced by Poudre D'Amour. A toilet powder combining every desideratum. Hygienic and Cosmetic, for beautifying and softening the skin... Gentlemen will find it most soothing and pleasant for use after shaving. Also good for keeping anoying cherubs at bay.